We give the name scientist to the type of man who has felt experiment to be a means guiding him to search out the deep truth of life, to lift a veil from its fascinating secrets, and who, in this pursuit, has felt arising within him a love for the mysteries of nature, so passionate as to annihilate the thought of himself. 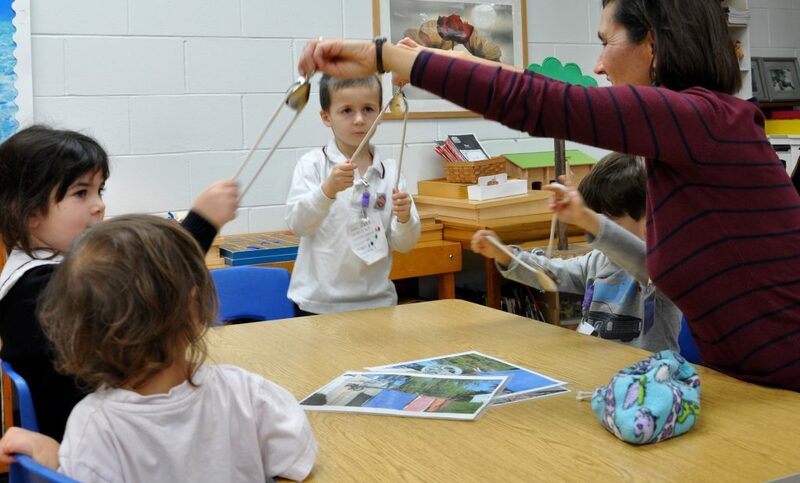 On Friday November 17th the halls at Dearcroft Montessori School were buzzing with excitement as the students always seem extra enthusiastic to get to school when it is Science Day. 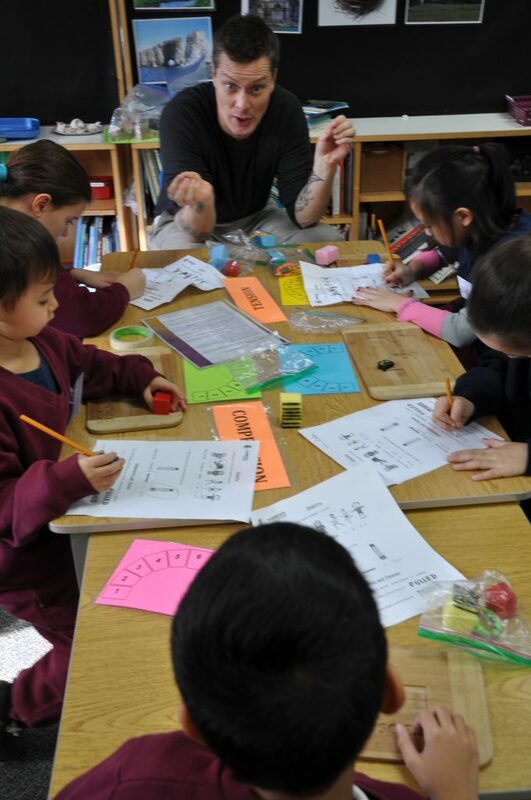 Classrooms were filled with parent volunteers who were set-up with small group science workshops. 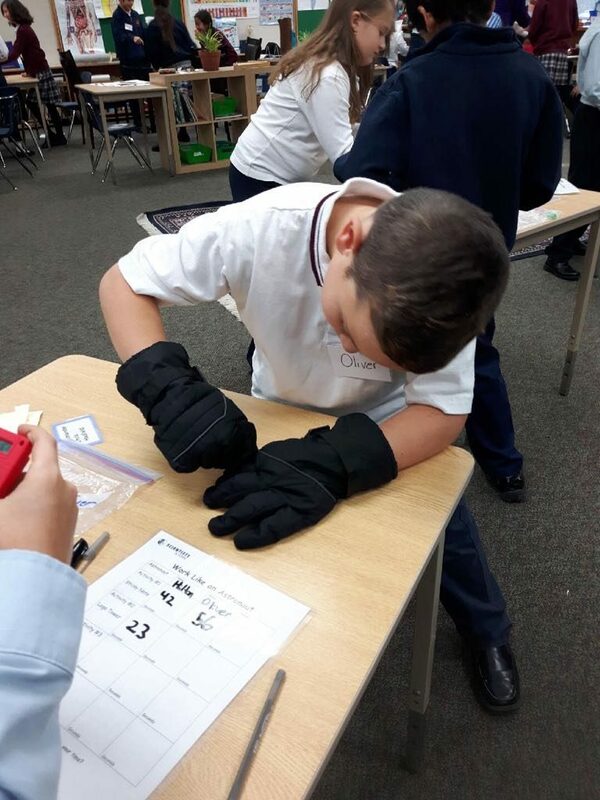 Scientists in School visited each class to present workshops on a range of science topics. 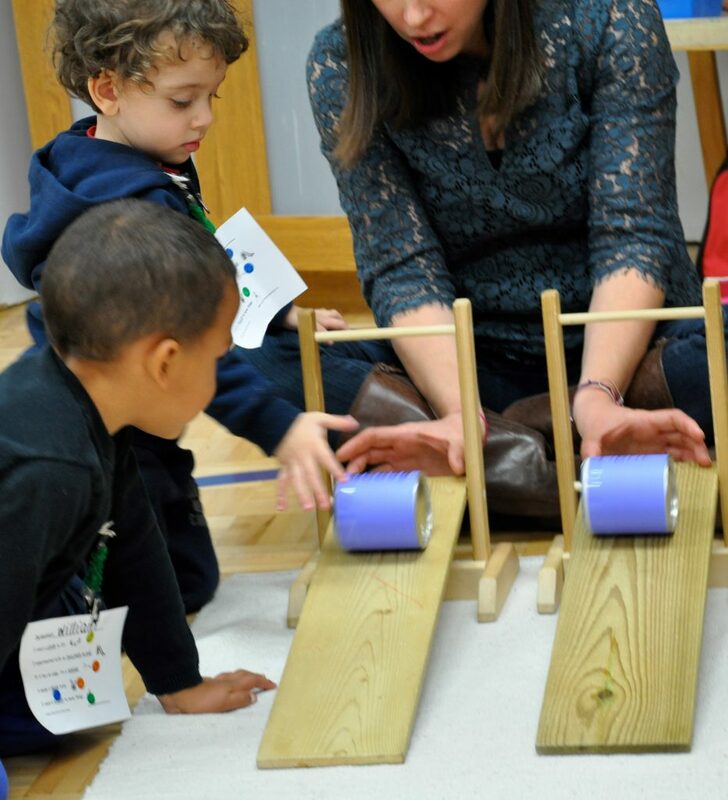 The Casa students aged 2.5 to 5 years of age learned about Simply Marvellous Machines. They discovered how simple machines help you every day. 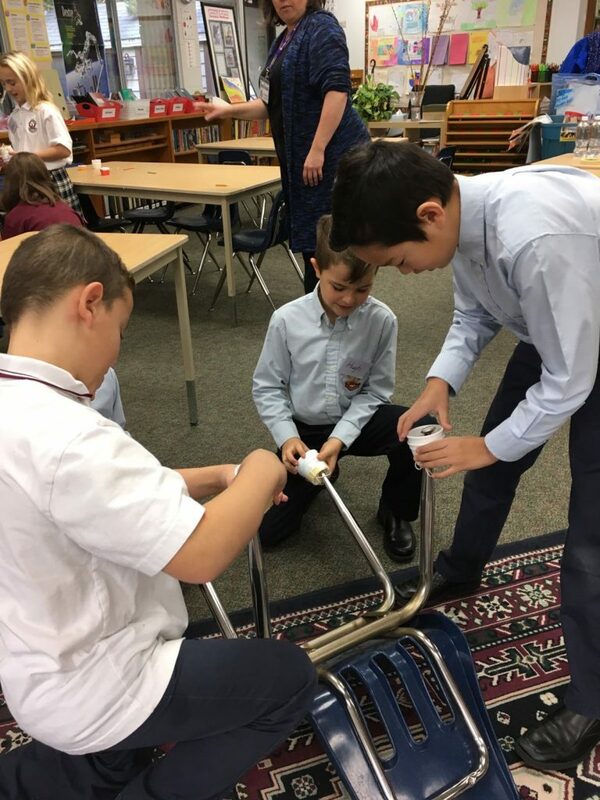 They enjoyed finding simple machines at an imaginary playground as they experimented with inclined planes, dug with wedges and made a lever to test at home. 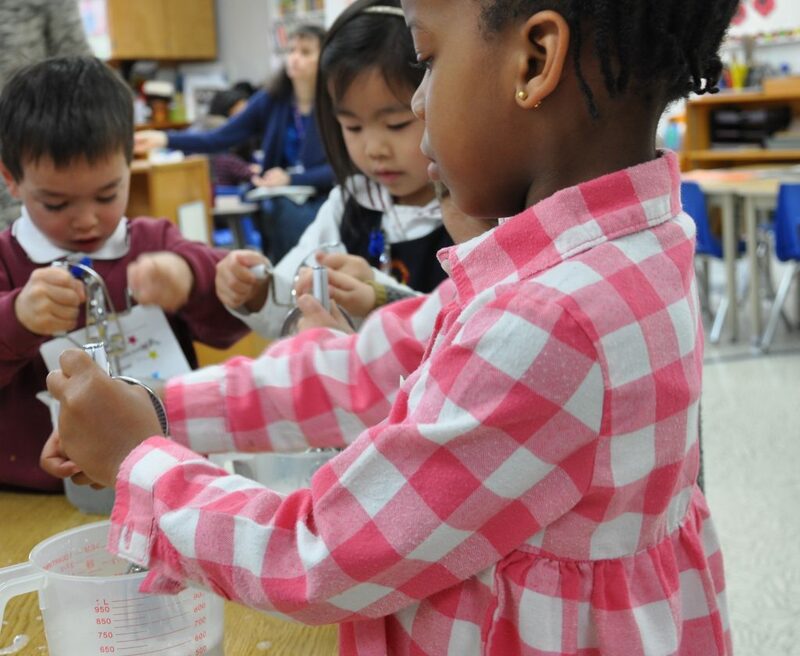 They investigated how pulleys make work easier and explored how to make bubbles using gears. 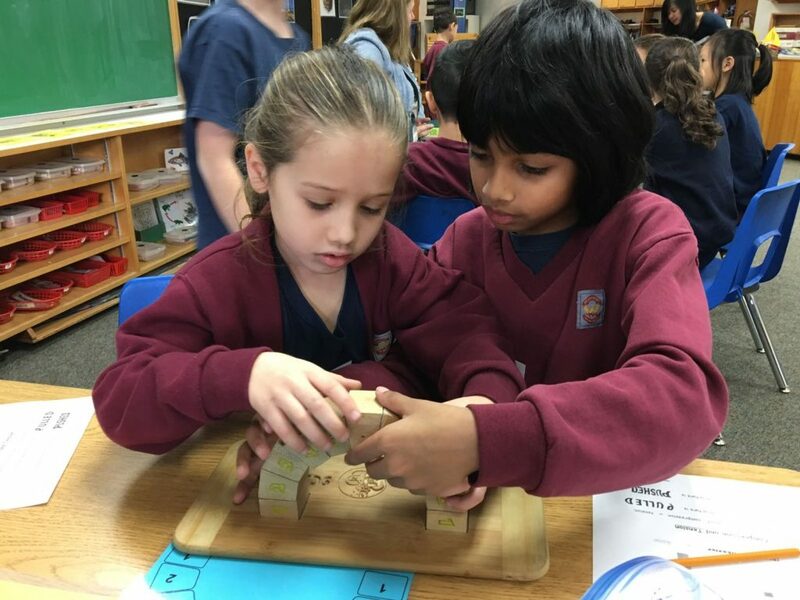 The Junior Elementary students in grades 1 through 3 were very busy building their knowledge of structural strength and stability. 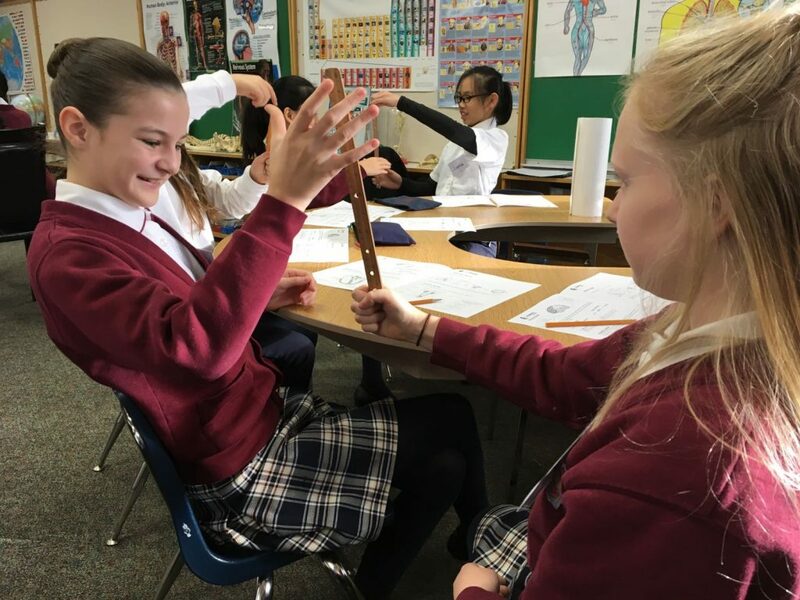 These junior engineers investigated how the strength of a material can be altered by its shape. They also created structures and learned about the impact of forces acting upon them. 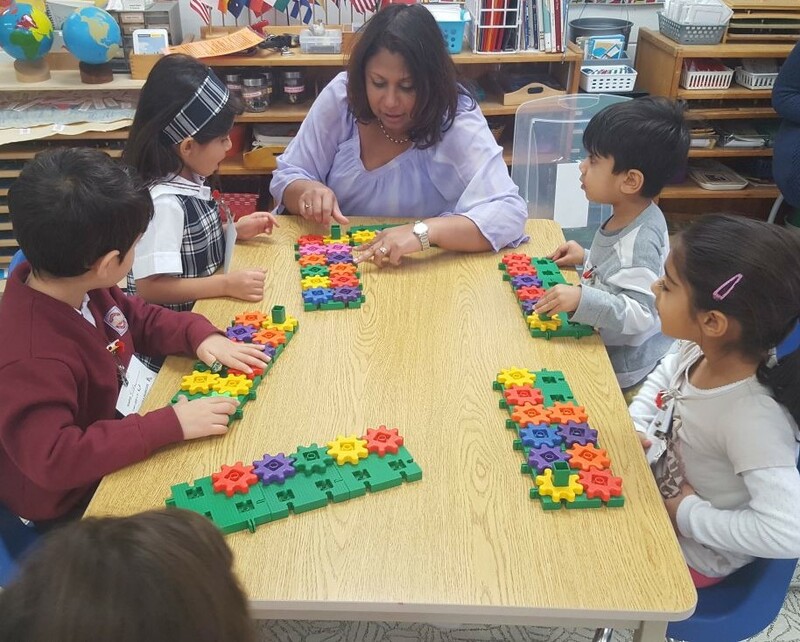 They were encouraged to take up the challenge to design, build and test a bridge. 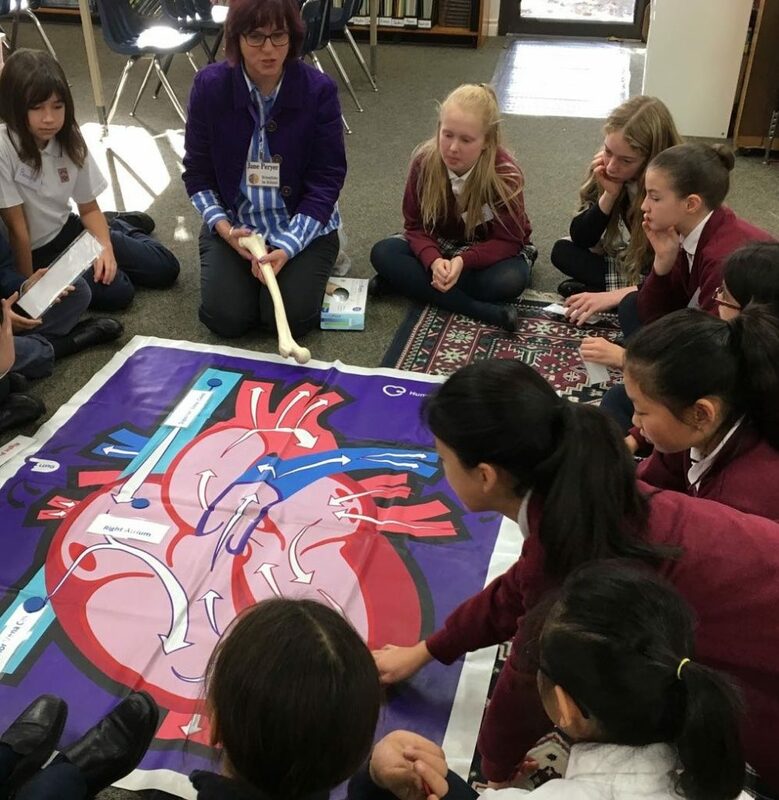 The Senior Elementary students in grades 4 and 5 explored how the human body works. They assembled a urinary system to filter simulated plasma. They got to build a model of the respiratory system. They tested their reflexes and measured their vital capacities. They followed a cell as it travels through a large-scale model of the heart. 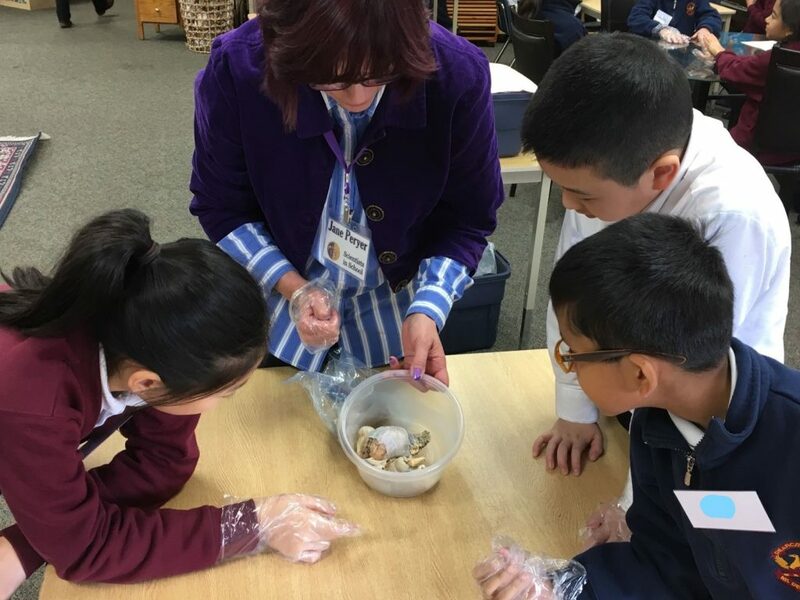 The Senior Elementary students in grade 6 participated in a workshop of Celestial Sleuths where they experienced the exploration of the solar system and the bodies within it to finally understand the real definition of “space”. They orbited through the phases of the moon and reflected on the changes we see from Earth. 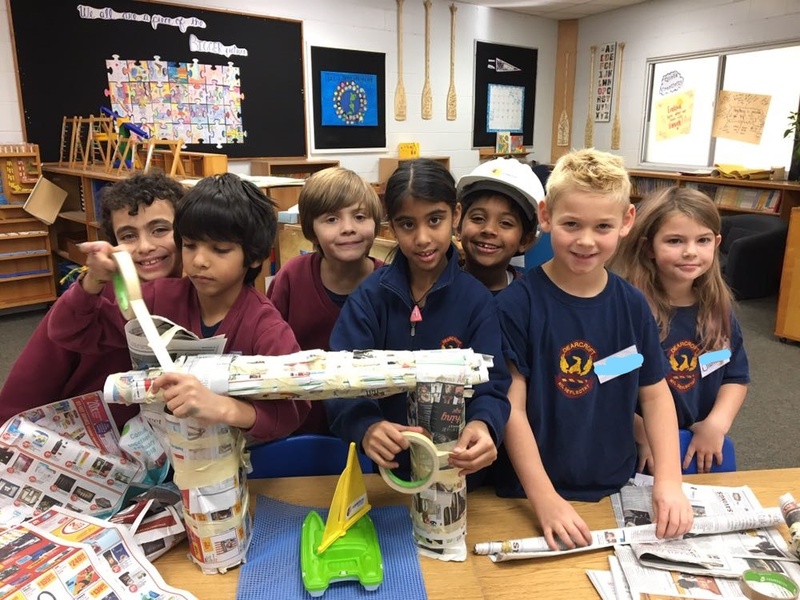 They discovered the challenges astronauts face in space and were able to build their own working model of the Canadarm End Effector. The Junior High students enjoyed learning about Systems at Work. They discovered the work done by simple machines, how they create mechanical advantage, and how they can be used to overcome obstacles. They explored incline planes, wheels, levers and pulleys. They analyzed how friction affects mechanical advantage. 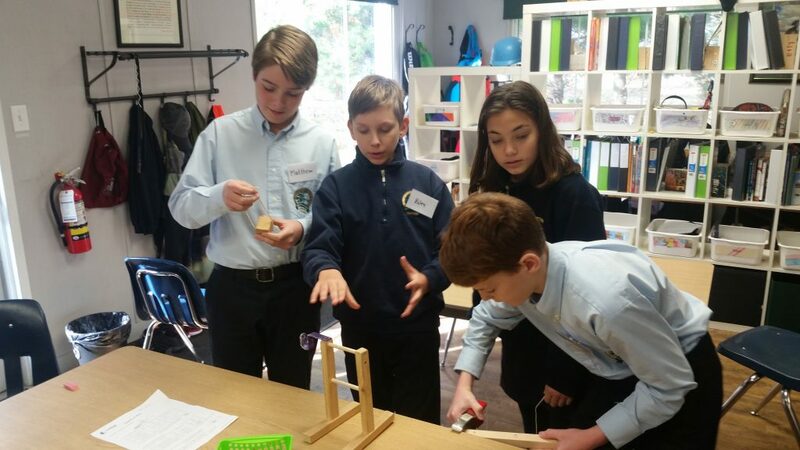 They investigated how simple machines can be combined to create complex systems used in building communities and to aid in disaster relief. 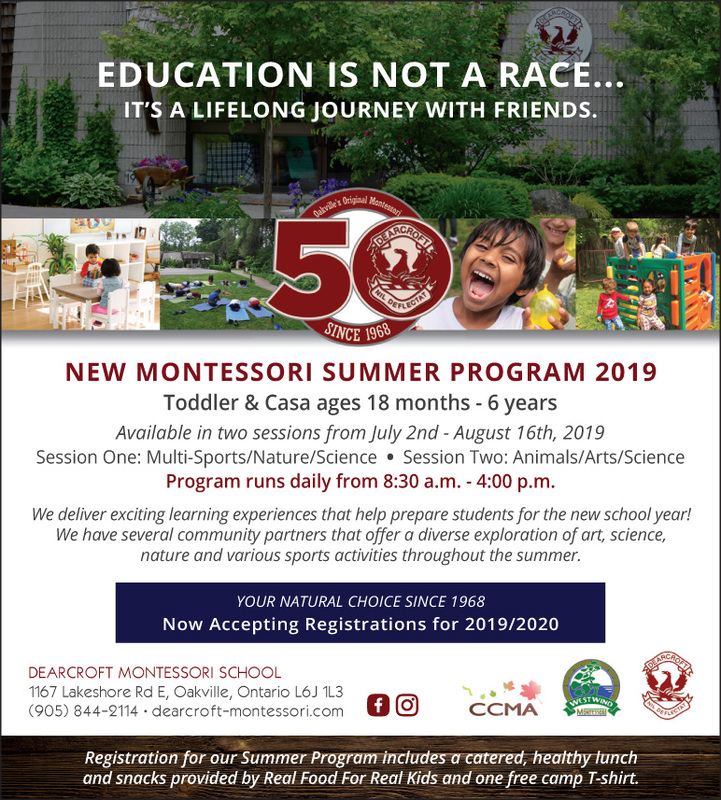 Here is a great article on the value of STEM and how to encourage your children on the path of science and education.